A surface is described as plane when all points on this surface are in one layer. In this plane surface the PLAN DESIGN rose by Karcher Design sits flush. Therefore the rose keeps the perfect plane surface of the door. Most of KARCHER DESIGN lever models are available on this flush rose and are particularly easy to install. according to EN 1906 category of use 3 and can therefore be used in commercial and residential projects. 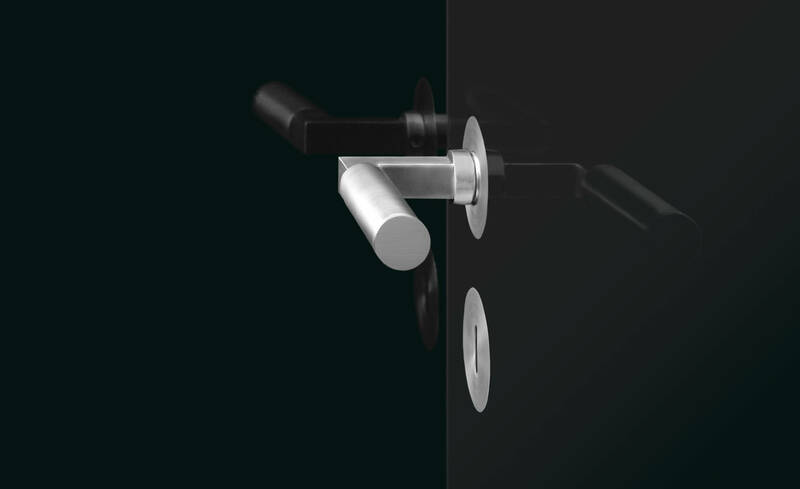 Matching fire-resistant lever sets complete our product line. Beside the flush installation of the rose it is also possible to mount the rose on the surface of the door. This is possible without adapting the rose and can be decided individually by each customer. KARCHER DESIGN offers the PLAN DESIGN rose which is easy to be mounted surface flat.